The type of alcohol transport Dallas businesses need can vary in regard to the specific product in question. Those that need bulk wine transport want to make sure that the delicate nature of this particular liquid isn’t compromised through key concerns such as exposure to dangerous weather conditions or other elements. Yet, like most things, the idea of wine transport Dallas businesses expect is also one where cost containment will serve as one of the cornerstones of any shipment. Being able to accommodate more capacity or fine-tune the logistics helps make for more viable bottom line, which is why the growing preference is geared toward using flexitanks as opposed to tank containers. When it comes to the transport of certain bulk liquids, matters like oxygen intake into a container may not be important. 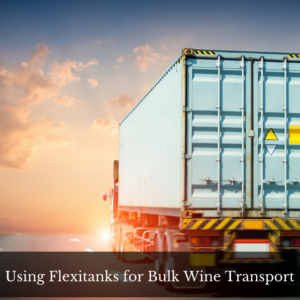 However, when it involves wine transport Dallas businesses rely on to help grow their businesses, that factor has to be of paramount importance and one that use of a flexitank effectively addresses. The chief reason for that concern relates to the insidious presence of oxidation, which can end up degrading the quality of the wine over the course of whatever travel path it’s taking. The lengthy process of international travel makes it especially vulnerable to being completely ruined. Overlooking that aspect can be a costly mistake on the part of any alcohol or wine-based business. The maximum amount of any liquid of this sort that needs to be transported for a single trip, especially for a product like wine, needs to be high. Doing this allows for businesses to maintain a higher profit margin, which in a highly-competitive industry like those selling wine and alcohol, can make all the difference in the world. The capacity of flexitanks manages to give those who take advantage of their value an average of roughly 20 percent more product being shipped in a single order. In addition, the space considerations that are avoided by not using tank containers help make calculating the savings involved an enjoyable endeavor for a business. Speed in getting a product to customers means reducing the amount of time that’s needed to get the item shipped. Use of a tank container will require a cleaning of it before it can be put back into service, something that a flexitank doesn’t have to worry about because of its disposable nature. Even if the cleaning process is conducted with the requisite speed, the possibility of container shortages developing can crop up at some point. Being sidelined by that frustrating situation isn’t something that’s experienced by those using the flexitank, which is much more accessible. While concern over the environment may not be an overriding concern when it comes to alcohol transport Dallas businesses perform on a daily basis, there are positive aspects that can place a business in a more positive light. For example, the bags being used are often recyclable, while the reduction in overall shipments offers a reduced carbon footprint. Kan-Haul roots as a transport company date back a century, with our work in bulk wine transport an important part of our business for the past three decades. We focus all of our energies on making sure that an economically-friendly approach that’s tied with excellent customer service is the type of wine transport Dallas businesses will receive from our dedicated staff. Your product is too important to risk going with someone less qualified, so contact us today to get things started.